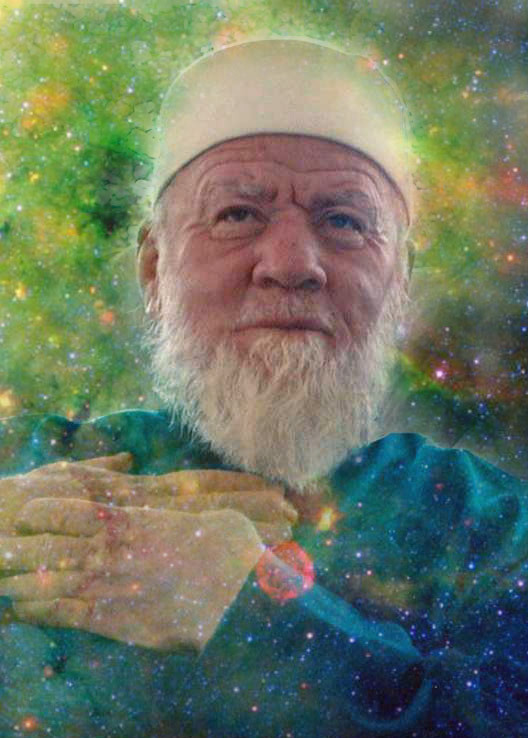 Gnostic of present age, an heir of the luminous guides, shaykh and servant of the Sufi Path, Shaykh Muhammad al-Jamal ash-Shadhdhuliyyah in his teaching while speaking of the soul's journey and its progress explains, and I quote partially from his book, "He Who Knows Himself Knows His Lord" published by Sidi Muhammad Press. May Allah bless him for his tireless work and connect us to his wisdom. 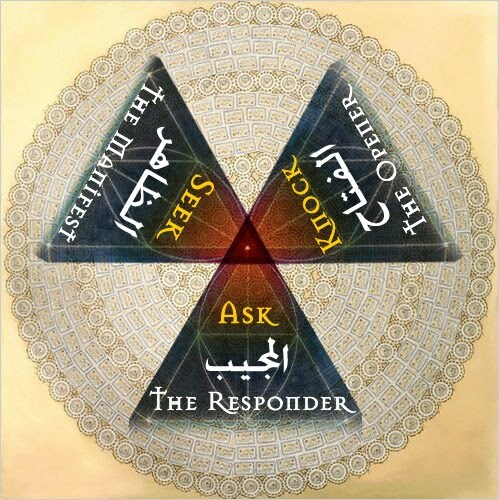 In the text that follows, Sidi Muhammad al-Jamal also explains the inner reality and the kingdom using a strikingly similar parable containing the symbols of asking, seeking and knocking the door. The text in italic are given as additional material to help bridge the understanding with the universal teachings of Christ. "The third station is an-nafs al-mulhammah, the station of the inspired self. The world of the inspired self is the World of Spirits, and its locus is the spirit. Its state is ardent penetrating love, and its light or source of arrival (warid) is gnosis (al-marifa). The inspired soul is called thus because the Real, Glory be to Him, inspired it with both righteousness (taqwa) and corruption (fujur) and it has begun to hear, without intermediary, the whispering of the angels and those of the shaytan, whereas in the previous station it heard nothing because it was still close to the degree of the animals. In this station, the traveler's state is still weak and can not distinguish between Beauty and Majesty nor between what the angel suggests to him and what shaytan insinuates. This is because he is not altogether free of his lower nature and what it demands. This third station is one in which both good and evil are gathered. So that if the good overcomes the evil of the traveler's self then it will ascend to the high stations, but if the evil overcomes the good then it will fall into the prison of the lower nature and descend to the lowest of the low. The sign that good is overcoming evil in your soul is that you see your inner being filled with the reality of faith ('imaniyah) and your outer being is filled with the Law of self-submission [to the Will of Allah]. This means that your being has realized that everything in existence moves in accordance with the Will of Allah (subhanahu wa-ta 'ala) and by His Decree, Blessed and Glorified is He. On the reality of the Law / Pattern of the Divine Submission Christ said, "Do not think that I have come to abolish the Law or the Prophets; I have not come to abolish them but to fulfill them." Every Divine Messenger's role was to fulfill and complete the Divine Law. Thus revelation and law happen in time, in spiral fashion, so are the progress, ascending to higher order of perfection and harmony for those who harmonize themselves with the Divine Pattern assigned to that age. Christ continues to tell, "I tell you the truth, until heaven and earth disappear, not the smallest letter, not the least stroke of a pen, will by any means disappear from the Law until everything is accomplished. Anyone who breaks one of the least of these commandments and teaches others to do the same will be called least in the kingdom of heaven, but whoever practices and teaches these commands will be called great in the kingdom of heaven. For I tell you that unless your righteousness surpasses that of the Pharisees and the teachers of the law, you will certainly not enter the kingdom of heaven." "I will strike an example that will help you to free yourself from the evil of this station in which you witness the overwhelming Reality but fail to see the complete truth of the [Divine] Law. On the contrary, it is by this vision that you should be able to know that the [Divine] Law is the inner aspect of reality and its secret. This is the opposite of what you have misunderstood by reading some books and by hearing the speech of some people. This example will explain to you how Reality is the inner aspect of the Law and its secret. Assume there is a master who built a great (mansion like) house and within that house he put everything that a human being needs from the pictures of lower world and the final world. He put all good and evil in this house and assigned a door for each. He then informed his servant: It is my way to not let a certain type of good emerge from any door except this particular door. He also assigned a door for every type of evil and informed his servants of that. In other words, he assigned a door for good, a door for water, a door for flesh, a door for friends, a door to see him, a door to demonstrate his satisfaction, and a door to demonstrate his wrath, etc. He assigned limitless and countless doors. He then sent his servant as a messenger to explain the assigned doors to people so that they could take from what was within the house. He sent him to give them the good news that whoever stands in front of the doors that are assigned for good and asks for it, shall get what the master assigned for that door, and that his master would be pleased with him. He also sent him to warn them that whoever stands in front of the doors of evil and asks for it shall have what the master has assigned for those doors, but that the master would be angry with him. One of the servants came and stood in front of the door of good, a standing of someone who is humble and insignificant, and he asked the master, himself, to favor him from his generosity; he did not see the doors as doors, but looked at the master as the very essence of these doors. In this way, he did not ask for mere pleasure, and seeing the doors did not veil him from witnessing his master, and humiliating himself with begging. At the same time, he did not pay attention to any of the other doors, or ask for their gifts, because he did not want to be impolite or to forsake what the wisdom of the master demands. These are the servants brought near to the master. They are his beloveds because they put everything in its right perspective. The second type of servant did the same at the first, but when they stood in surrender to the master's command, they became to admire themselves and saw that they were better than the ones who did not surrender to the master's commands. The master sensed that they were veiled, and he gave out the good he assigned for them, but did not bring them closer to his presence, in the way he did with the first type of servant. As for the third type of servants, they did not stand in front of the doors, and so the master did not give out what he had assigned for them because they thought that the doors had no influence whatsoever or that there were no doors at all; for [they said] the giver is the master without a door and without a demand of any wisdom. So the master discharged them from his presence because of their ignorance of his wisdom, and because they did not stand by his door, and even though they claimed that they loved him, he disliked them. Therefore servants are of three categories: those who deny the master giving through a door he assigned from his favor; those who witness that it is the master who assigned the doors, gives and is behind the door, but they also witness themselves (their ego-self); and those who do not witness anything except the master." In the New Testament and also in the Quran, these three categories are people of the left, people of the right and those who are brought near (the foremost). Sidi al Jamal explains further, "Know that the master is an imaginative comparison with Allah, Glorious and Beyond Being, yearning for reunion and rejoining the beloved, remembering the meeting with the beloved, and rejoicing at the beauty of the face of the beloved. How beautiful is this road and how beautiful are its states! How lofty is the station of its travelers and how many are the gifts bestowed upon them! If they are in poverty, they are self-sufficient, and if they humiliate themselves, they are honored. Their assets are humiliation and poverty and manifesting their helplessness, indigence and slavehood to Allah, their Beloved and Creator. Know, my beloved, that while you are in this subtle and gentle station, the sun of direct experience has risen upon you, and the good news of perfection is approaching you, and the breeze of the divine reunion is blowing upon you. Most of the dense veils have been removed from your heart and the uglier and most serious traits of your ego-self have also been removed. This is because this is the station of the spirit, and even though the spirit is still veiled from witness the Beauty of the Real, and still has its share of what prevents arrival to His Presence, here veils are luminous veils and acceptable desires. This is the station of the passionate lovers delighting in humility and needliness, of the impatient lovers who are unable to bear separation from their Beloved. It is in this way, that the passionate lovers rejoice in ecstasy, and this is the sign by which the truthful are distinguished from the liars; for those who claim love are many; but the truthful ones are few. Beaware of slipping on the path, thinking that throwing off constraints means abandoning the commands of the shar'iah, as some confused people think. Those people have gone astray and are leading others astray. For surely, any lover is obedient to his beloved." So said our Noble Master, the God-Intoxicated Mystic, Isa ibn Maryam, "So I say to you: Ask and it will be given to you; seek and you will find; knock and the door will be opened to you. For everyone who asks receives; he who seeks finds; and to him who knocks, the door will be opened." Kullu shayin halikun, illa WajhaHu. So can there be any other goal higher except this? Infact everything that a seeker seeks is a sub-set of this real seeking. The sincere ones obeys the command to please the Lord, refrains from the forbidden to please the Lord and at the end the pleasure of God is unveiling His Countenance to those on the Day of Standing only upon whom God is pleased. For those who love God, nothing is more undesirable than the denial of the Face, Wajh. 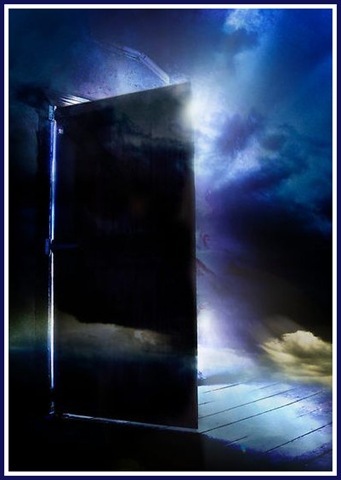 That is the inner reality of Divine Law (Commands and Prohibition by God), which is symbolized by Door. The Divine Pattern / Law / is God's Will manifest through the messengers and luminous beings. And it harmonizing with the Divine Law / Pattern is harmonizing with the Will of Lord. As prayed Jesus, "Not as I will, but as You will." True knocking is the knocking at the door of Presence of the Real, where knocking never fails one to hear response. 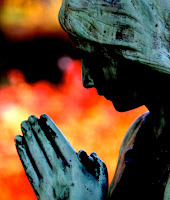 There are many who perished by asking / desiring / knocking for only that of the fleeting world. By the reality of al-Karim, the Generous One Who gives when His servant asks, always gives what is asked. Even in denial He continues to give, yet we remain heedless. This is further true even when man asks foolish thing like an ignorant child who can not distinguish invaluable from valuable. You said, "Who is at my door?" You said, "What business do you have?" I said, "To behold Your Countenance, and bow, O Lord." You said, "How long will you journey on?" I said, "Until you call." You said, "How long will you boil in the fire?" I said, "Until I am pure." We talked through the door. I claimed a great love. I said, "This is my oath of love. You said, "Such claims require a witness." I said, "This longing , these tears;"
You said, "What do you seek?" You said, "What do you want from me?" You said, "Who was your companion on the Journey? I said, "The remembrance of you, O Majestic King." You said, "What called you here?" I said, "The musk of Your wine was in the air." You said, "What brings you the most fulfillment?" You said, "What do you find there?" You said, "Why is the palace deserted?" You said, "Who is the thief?" I said, "The one who keeps me from -You." You said, "Where is there safety?" You said, "What is there to renounce?" You said, "Is there no threat of disaster?" I said, "Only what comes in your street, inside your love." You said, "How do you walk there?" I said, "In holy perfection." those who listening, would leave themselves. Your Lord says, "Call me, I answer you." Knock: Ya Fattah - O The Opener. "Nothing can quench my thirst but Your attachment, and nothing can extinguish my burning desire but Your meeting. And nothing can extinguish my craving for you except seeing Your Face (Wajh), and my restlessness cannot be done away with but by gaining proximity to You…and My sorrow cannot be dispelled except by being near to You." "O Allah! Make us tread the path that leads to Your meeting, and make us travel on the road that is nearest to You… attach us with those servants of Yours who are in haste to reach You. Those who incessantly knock on Your door, and worship only You in the vigil of the night… You have fulfilled their desire by allowing them Your meeting, and You have filled their hearts with Your love, and have quenched their thirst with Your pure drink. Thus, because of You, they enjoyed the taste of Your munajat (supplications) and have achieved their farthest aims… Then only You, O Allah, are my aim. And my being awake and up in the vigil of the nights is only because of You and not for anybody else. Your meeting is my love and Your sight, my desire. Your vision is my only need." May we not be denied that Glorious Vision that every gnostic, every sincere seeker asks, seeks and anticipates on the Day of Grand Unveiling, the Day of Reckoning, the Day of Final Resurrection. So be it by Your glory O Lord of the Worlds. All thing shall perish, except Hu's Countenance.